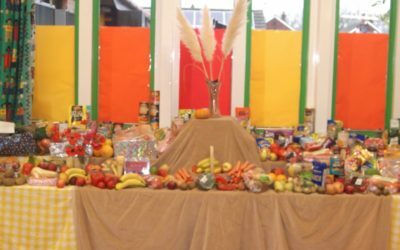 Our school is a Church of England School designated as having a religious character and whose ethos is derived from a Church of England Foundation. “Recognising its historic foundation the school will preserve and develop its religious character in accordance with the principles of the Church and in partnership with the Church at Parish and Diocesan level. The school aims to serve it’s community by providing education of the highest quality within the context of Christian belief and practice. It encourages an understanding of the meaning and significance of faith, and promotes Christian values and respect of British Values through the experience it offers all it’s pupils” At Filey C.E. Nursery and Infants Academy we work and play together so that our school is a safe and happy place where everyone feels valued. St John’s is our local Parish Church and the children regularly visit throughout the Christian Calendar. 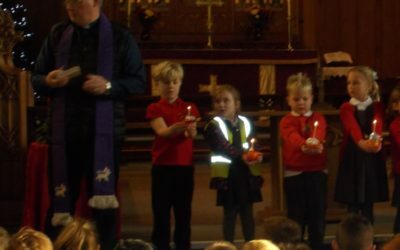 Harvest Festival, Christmas Tree Festival, Bell Ringing, Christingle and Easter services are all celebrated by both the school and the community. As a church of England School we share the Christian message with Nativity and Easter boxes made by the children. Local businesses, hotels and public buildings are proud to display these boxes for the whole community to enjoy. 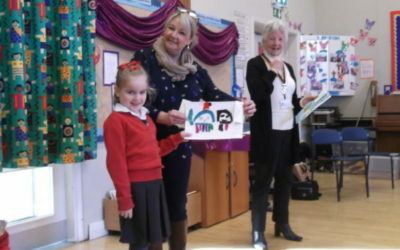 Our friends from St John’s Church run a weekly Bible story club including art, drama and music. This takes place on a Monday lunchtime for year one and two pupils alternate half terms. Open the Book is run half termly by volunteers from St John’s Church. It is a ten to fifteen minute Bible story providing a strong consistent and ongoing feature for Collective Worship. Pupils participate sharing the Bible stories. ‘Open the Book’ is part of Bible Society in partnership with The Diocese. Every Friday afternoon a group of our year two pupils visit The Hylands Care Home in Filey which is the only Butterfly Care Home in Yorkshire. Butterfly Care Homes were founded by Dr Sheard in 1995 pioneering a household model for residents with dementia. 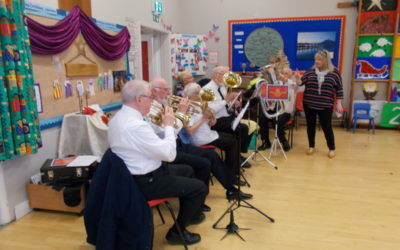 A key part of their work is inter-generational work and residents from The Hylands recently joined us at school for an Old Time Music Hall performance by our year two pupils.